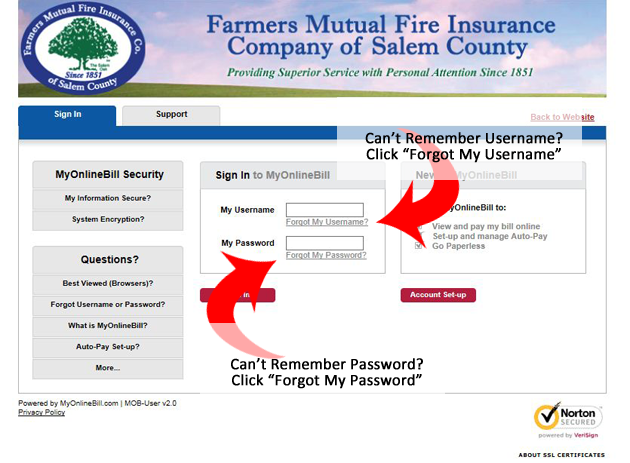 If you cannot recall your MyOnlineBill Username and/or password, please visit the Farmers of Salem MyOnlineBill Portal. Look for the "Forgot my Username?" and/or "Forgot my Password" links underneath the login boxes.